Neo-Nazi Terrorist Luca Traini has been sentenced to 12 years in jail for shooting six migrants in a attack in Macerata. 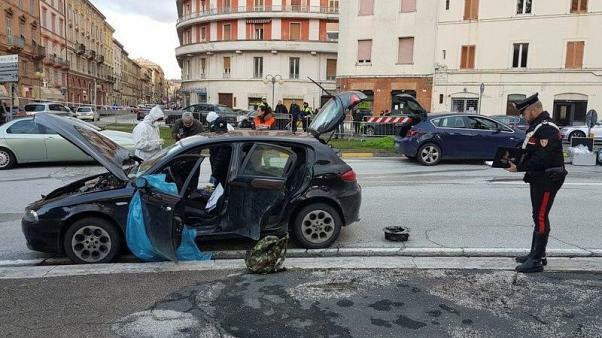 Traini targeted black migrants as he drove around Macerata, hitting random nationals from Ghana, Mali and Nigeria. He later abandoned his car and made a fascist salute, an Italian flag draped over his shoulders, as police arrested him. I am sorry for the injuries I caused. While in prison, I have understood that the colour of ones' skin has nothing to do with anything. Traini carries the 'Wolf's Angel' tattoo of the devoted Nazi.